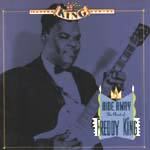 This blues master was a source of inspiration among many a surf guitarist, with several of the vintage bands covering his tunes on disc, most notably the Sentinals. Titles like Hide Away, San-Ho-Zay and Sen-Sa-Shun were a standard part of many a live set. So, while there is no surf here, there certainly is protosurf and a source of inspiration to many. This track has been covered by many a surf band, and for obvious reasons. The blues roots of surf, particularly the South Bay scene, leant itself to this sort of tune. The melody is strong, and the funky groove nature of the track gives an air of soul to the set. Boogie based, and infectious. Another track that has found it's way into many surf sets, this is a splendidly surfable track. It's bluesy nature and melodic sense are infectious and demand attention. Likable from the get-go, this is just plain good music. Based on Got My Mojo Working, this is a playful instrumental, with flair and optimism. Fine guitar work from the master. Not included in surf sets, but frequently used by British Blues bands later on, this is playful and rhythmic track, with a definite appeal. Mighty fun picking, bluesy style and infectious rhythms, and definitely the blues, not surf at all. Warm and friendly. Chunky, blues instro, loaded with pomp and circumstance. OK, but not great. An almost country blues tune, country in the Nashville or Bakersfield sense, blues in the guitar feel. Fun, and hard to pin down. Very optimistic.